The Beat Is by ALPHABEAT - lastest album in my itune library. 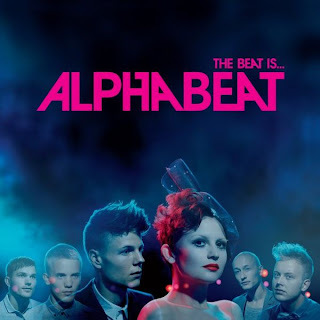 Alphabeat was formed during Summer 07 with members of Anders SG, Stine Bramsen, Anders B., Rasmus Nagel, Anders Reinholdt and Troels Hansen. Their sound is mainly retro 80's melodic pop, taking inspiration amongst others from British bands Deacon Blue and Prefab Sprout, with distinctive overlays of male and female harmonies. If you ain't believe their glamor, they were currently the support act for LADY GAGA on her U.K & Ireland leg of The Monster Ball Tour, taking place in February and March 2010.More information about Alphabeat, kindly click BBC for details.